My family and I had always talked about how Kennebunkport was missing a doughnut shop. So, in the Spring of 2017, when an opportunity to start a business nearly fell into my lap, I knew that it had to be a doughnut shop. During the winter of that same year, I was in search of internships for the upcoming summer, but nothing I came across seemed nearly as exciting as the hustle and bustle of the food industry that I had grown up in. When a small retail space became available, with my family’s support, and on the advice of my Colgate mentor Dean Gary Ross, I decided to try to fill a gap that Kennebunkport was missing. Working remotely while I finished up my Junior year, I designed the small space so that by the time it was finished all that it needed was the doughnuts. I spent the rest of the spring researching, experimenting with flavors, and honing my baking skills with the help of family, friends, mentors, and the internet. 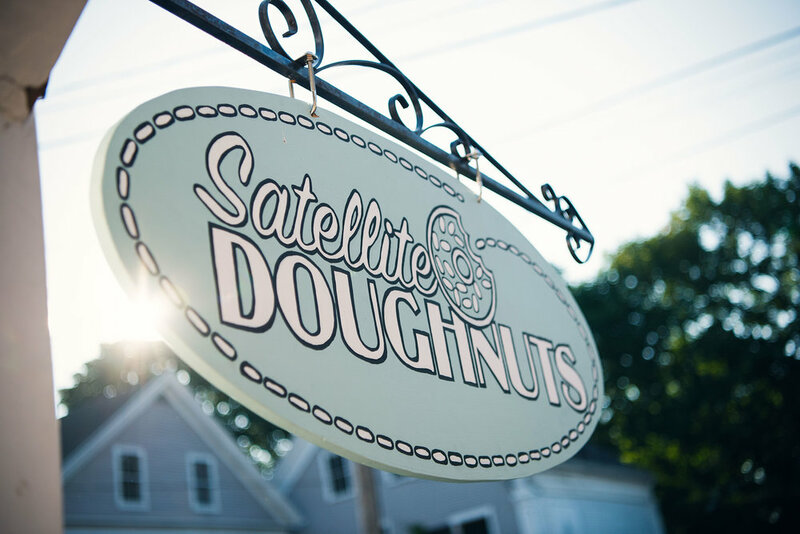 Of all the steps that went into creating Satellite Doughnuts, finding the name was the easiest part. My parents got engaged and ultimately married while collaborating on their first restaurant, The Satellite Grill. They closed the restaurant doors the night before I was born. My history in the industry would have been nothing without that spot, so the name of my first foray into food was a given. Today, my parents have several businesses throughout town including The Clam Shack, The Sugar Shack, Aunt Marie's Ice Cream, and Squirts lemonade stand. Adding Satellite to this family of family businesses has been not only an amazing opportunity but so much fun. Check out the link below to learn more about our doughnuts!